A perpetual source of energy which is in motion on once captured wind. DeFKa gewest aan de Seine in Assen organised in the summer of 1998 an exhibition with the title ‘Turbulention’. 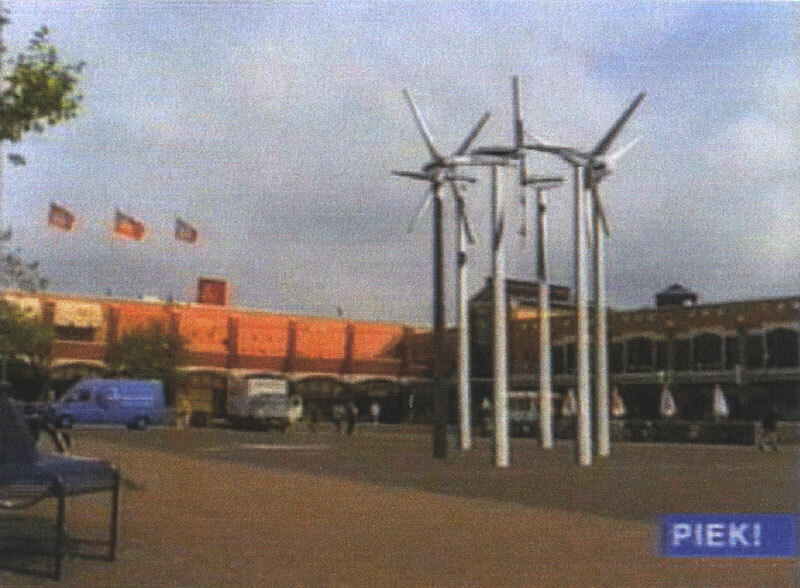 Artists who took part in the exhibition were asked to develop ideas for the city of Assen. PIEK! thought of an installation/sculpture at the ‘Koopmansplein’, a square in the heart of the city, which has the title ‘Perpetume Mobile’. 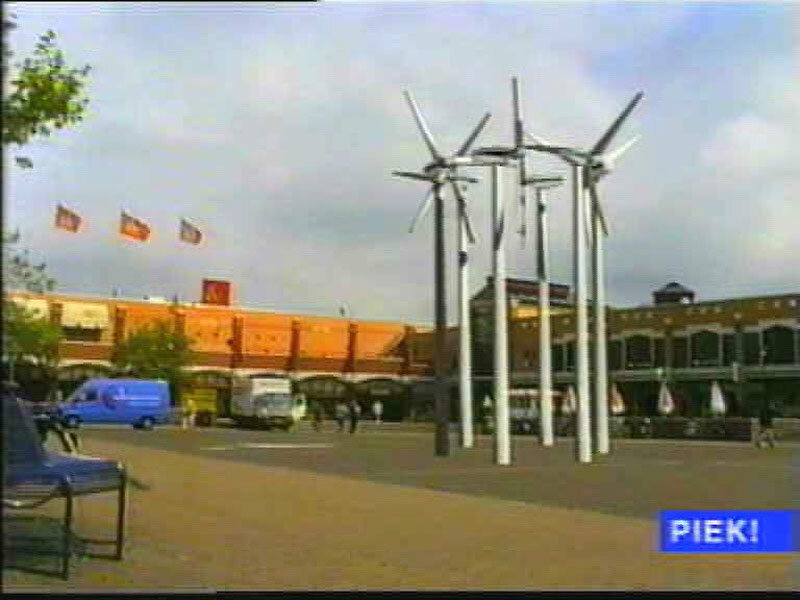 It’s a composition of six windmills, each with a height of ± 6 meter, placed in a circle in such way that each rotors is pointed at the one next to him (see also the picture). The rotors of the mills have solarpanels on them to make sure that the rotors always are in motion, and make the suggestion of a perpetuum mobile.